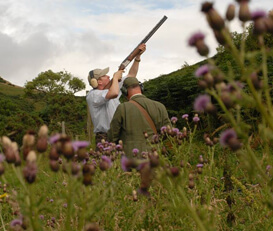 Clay Pigeon Scotland is proud to offer the opportunity for clients to sample representative shooting sports in one convenient package. Over the course of approx. 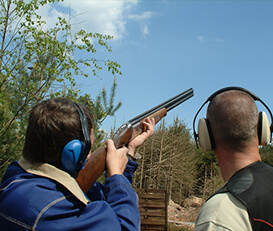 2.5-3 hours we will teach you the basic skills involved in Clay Pigeon shooting, Archery and Air Rifle shooting. Using our fully customisable 6-trap “Compak” style clay target range we will teach you the foundation of shotgun shooting. Covering safety requirements, eye-dominance, stance, gun mount, reading the target, lead and swing our instructors will have you breaking clays in no time, and more importantly enjoying the experience! Onto our Archery range where the instructor will equip you with a modern composite recurve bow and all the required safety equipment. You will then learn how to draw, aim and loose arrows at our targets, all the while being overseen and guided by our experienced staff. 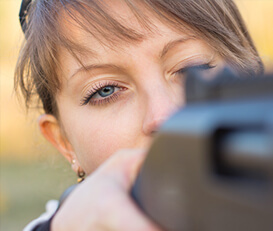 On our dedicated air-rifle range you will learn the fundamentals of rifle safety and proper marksmanship techniques. Set up with a variety of targets, from paper to spinners to clay discs at various ranges, you will spend your time punching, spinning and shattering targets under the watchful eye of our Range Officer. 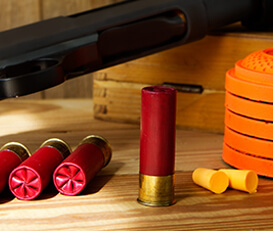 Using our dedicated “Compak” style clay layout you will learn from your instructor the basic fundamentals of shotgun shooting. From safety, through correct stance and mount and onto swinging the gun (and breaking targets!) our instructors will have you enjoying your experience and smashing targets before you know it. On our Archery range you will be equipped with a modern composite recurve bow and the required protective equipment, before being taught the basics of this ancient skill. Under the watchful eye of your instructor you will be striving for “X-ring” arrow strikes before the end of your allotted time! Our dedicated air-rifle range is set up with a variety of targets at varying ranges. From standard scoring target faces, to spinners and clay discs there are plenty of options. After learning basic safety and marksmanship skills you will spend the rest of your allotted time striving for strikes on targets at greater and greater distance!